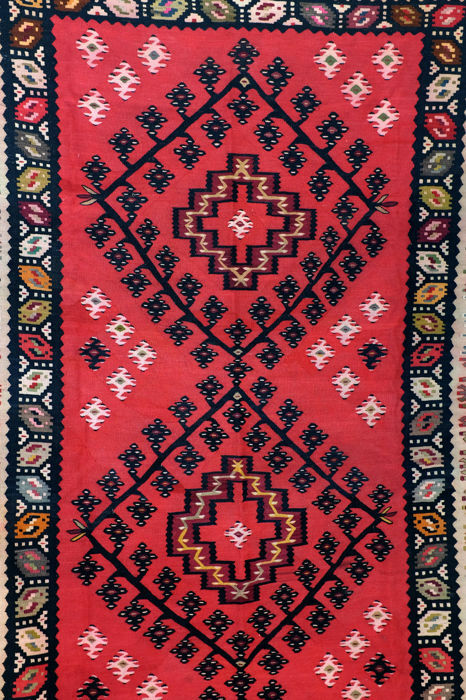 Sarkoy kilim, 280 x 148 cm. 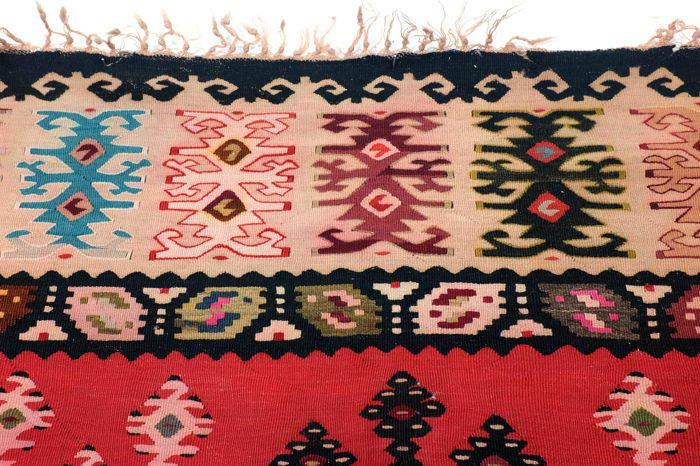 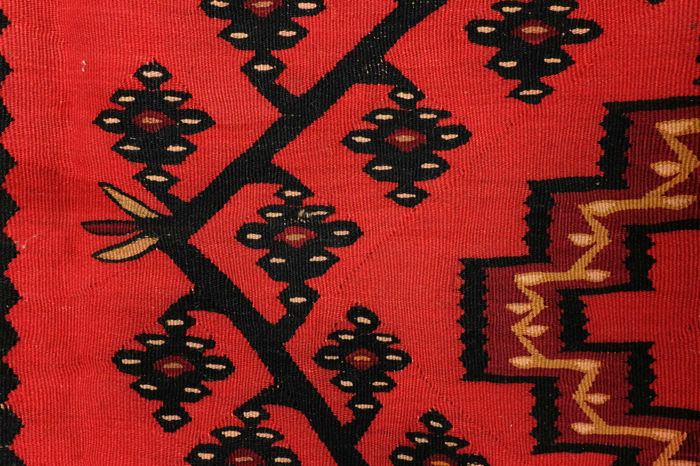 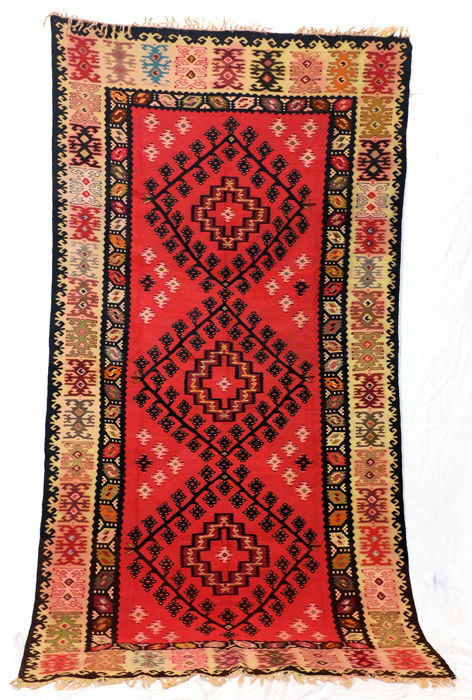 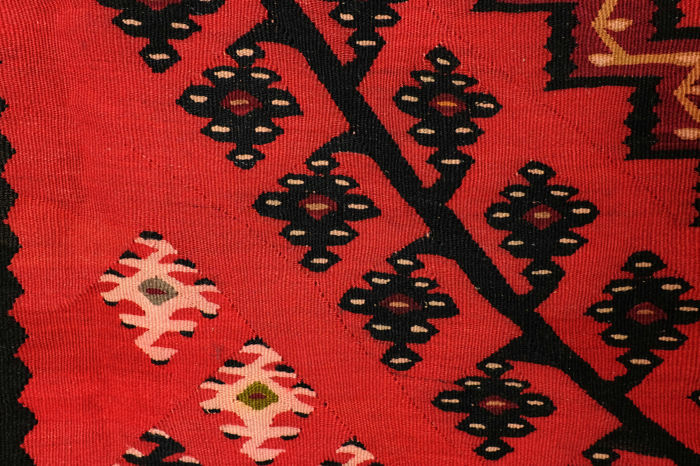 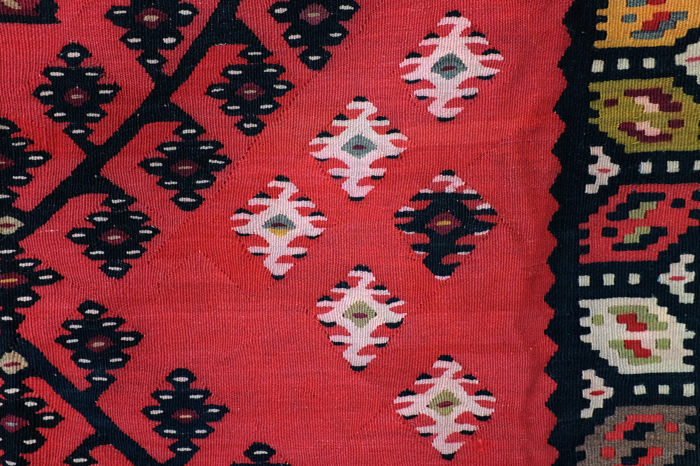 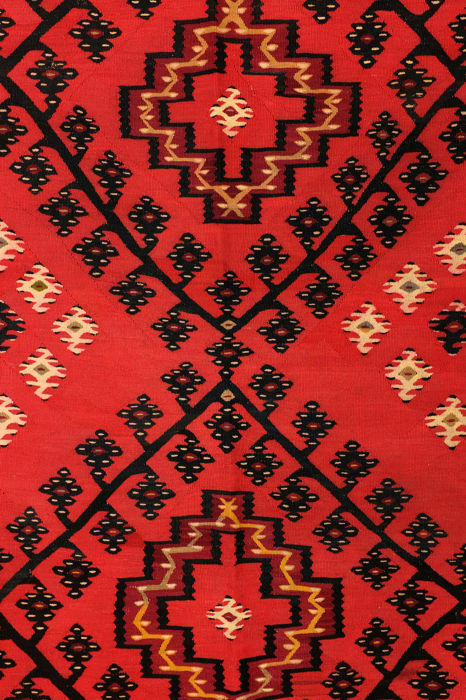 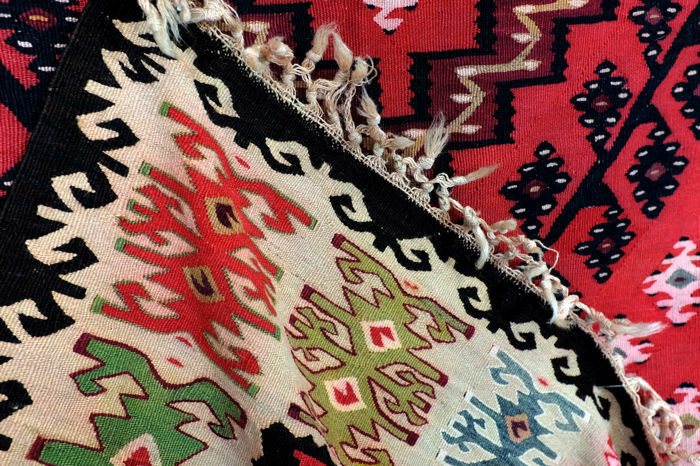 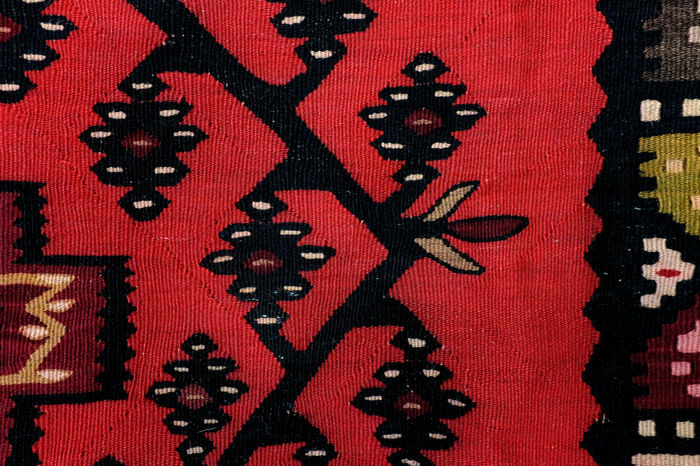 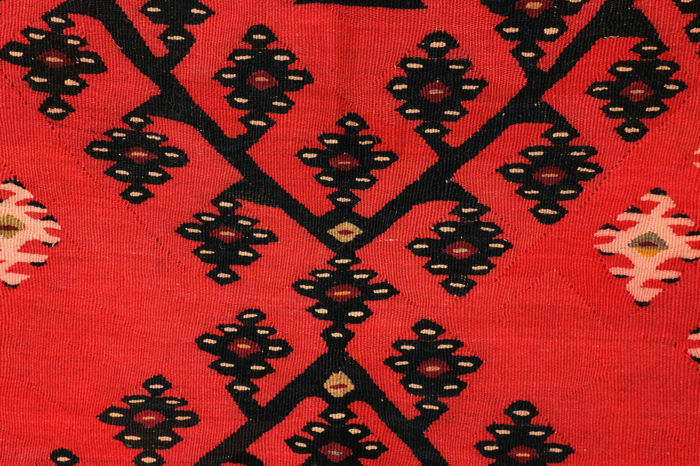 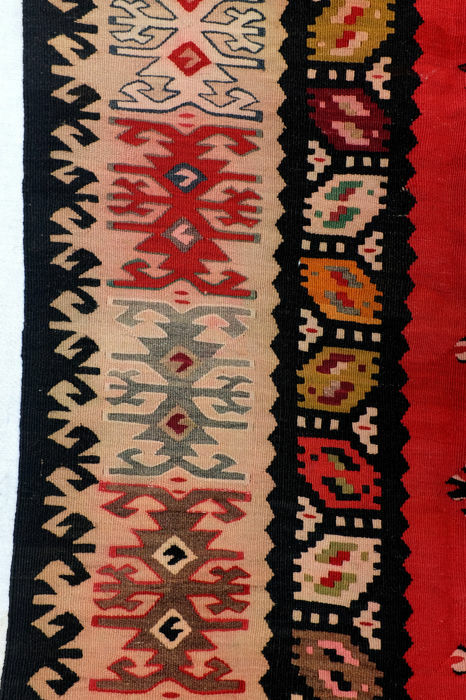 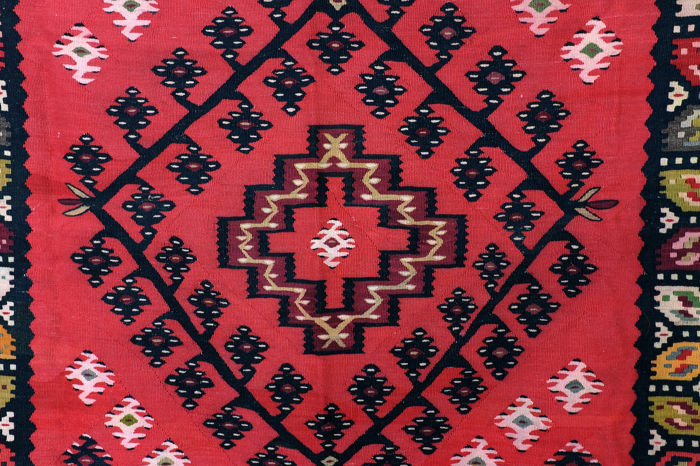 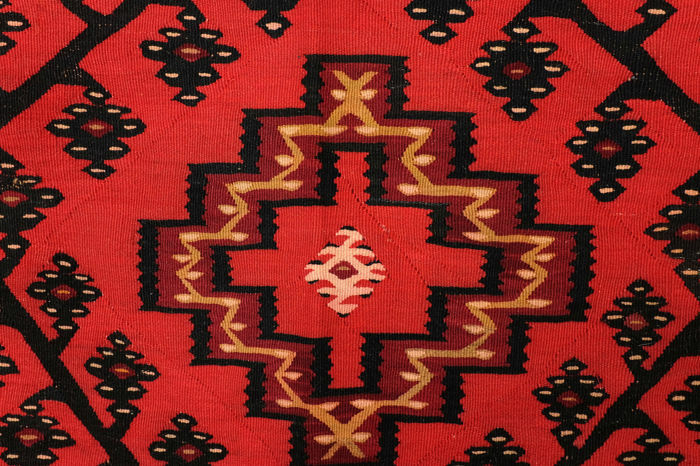 Kilim from the Balkan. 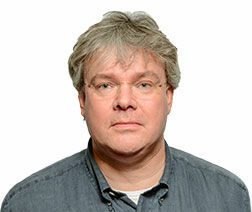 Collector's item. 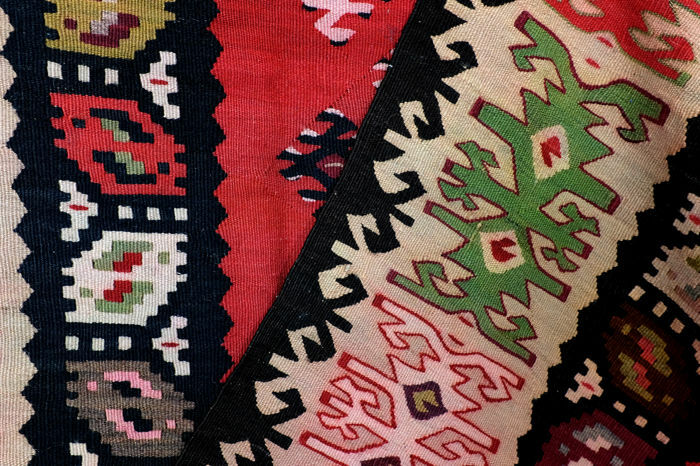 Sarkoy is the name of a Turkish harbour town to the north of the see of Marmara. 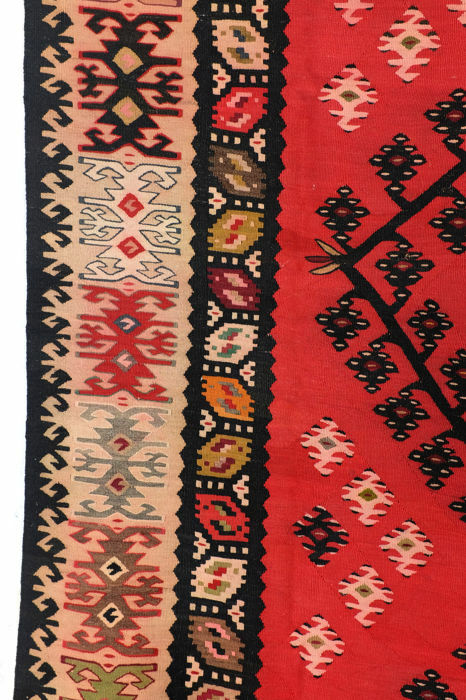 A collector's name for kilims from the Balkan, made during the Ottoman reign. 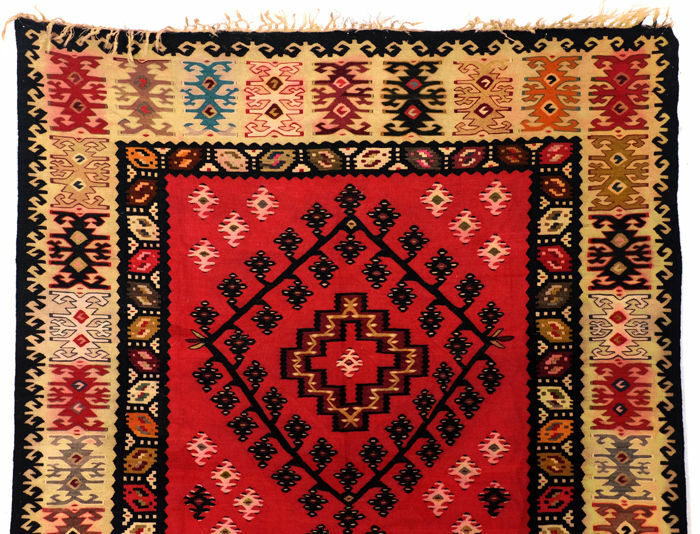 In 1912, the Turks were permanently driven out of this area after centuries of supremacy. 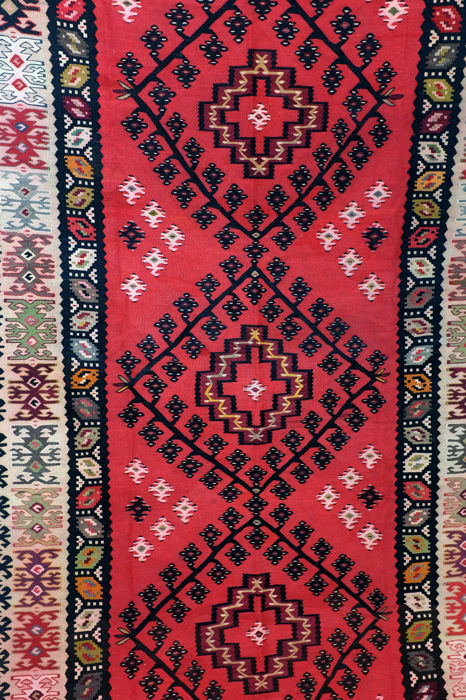 The red has run a little onto the white at the edges in places. 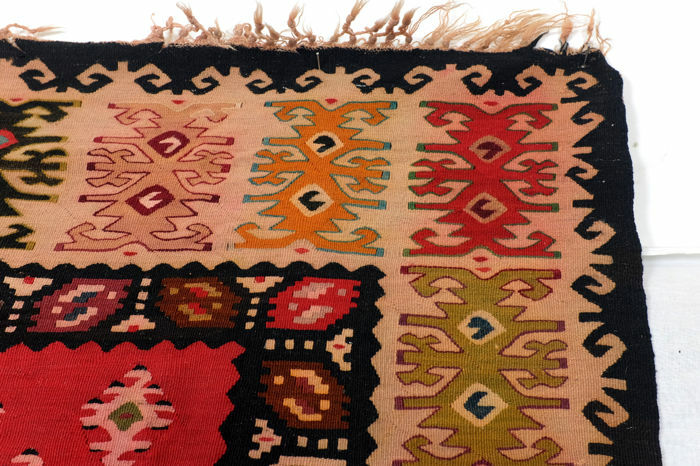 But not much, the 'white' in the edge is soft pink itself. 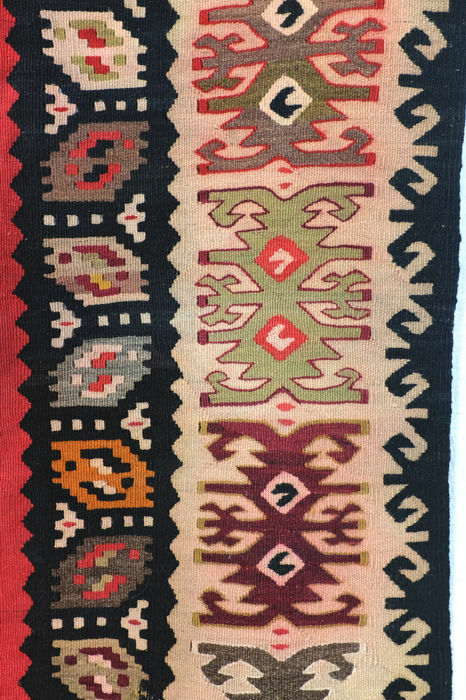 This is not a discolouration but the intended colour. 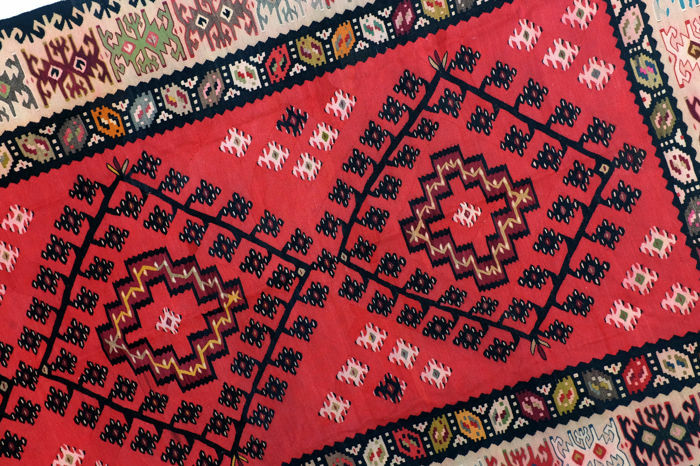 Also see the true white, it's alos in there and that is white. 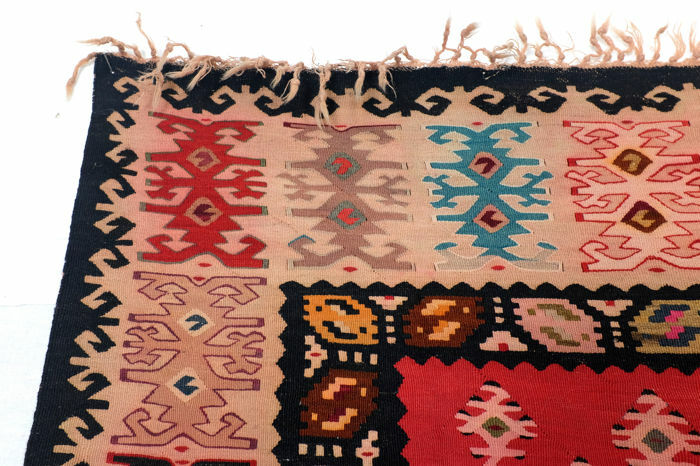 These kilim are very finely knotted and high quality. 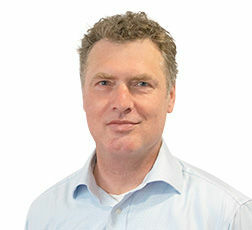 Sie können diesen Artikel auch beim Verkäufer abholen: Den Bosch (), Niederlande.